Combining the generosity of Shiraz with the wonderful structure of Cabernet Sauvignon, this full bodied wine shows rich dark berry, chocolate and spice characters enhanced by subtle toasty oak nuances,. We invite you to explore the Penfolds range and discover a success story more than 170 years old. 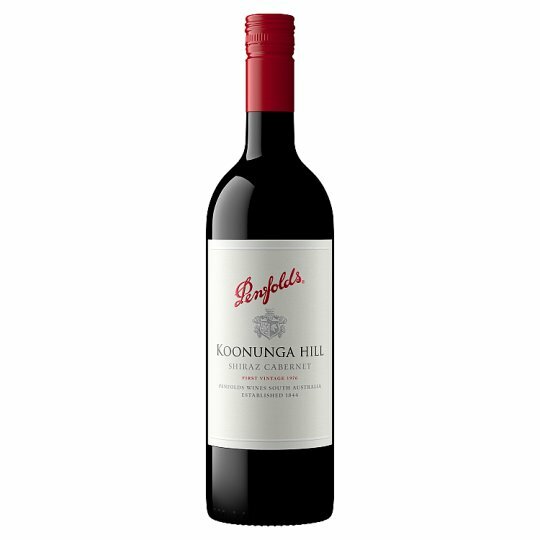 In 1976, Penfolds released the first wine to bear the name Koonunga Hill. By applying our long held philosophy of blending select parcels of grapes from South Australia's wine regions, Penfolds winemakers are able to craft wines of distinction without ever compromising on quality. Palate: The savoury mix endures on the palate with flourishes of tomato relish, beetroot and cedar. Fine talc-like tannins, varietal Cabernet spice and subtle oak offer immediate drinkability. Autumn and winter rainfall was above the long-term average. Rain stopped abruptly in early August and infrequent showers observed throughout spring. Canopy growth was resultantly halted early in the season, setting up an open canopy structure. A significant rainfall event in early January was a defining moment. Mild days coupled with cool nights provided consistent conditions from late-January through to March, allowing fruit to reach optimal ripeness whilst retaining natural acidity. The Penfolds Thomas Hyland range honours the pioneering spirit of Thomas Hyland, son-in-law of Dr. Christopher Rawson Penfold. Hyland's stewardship of the company from the late 1800s until 1914 saw the development of what, in his lifetime, became Australia's most famous name in wine. Consisting of a Shiraz, a Cabernet Sauvignon and a cool-climate Chardonnay sourced from premium viticultural districts of South Australia, the Thomas Hyland range offers a contemporary expression of varietal flavour. Cabernet Sauvignon is widely planted across South Australia's premium wine regions. In the South-East of the State vines with proven classic Cabernet structure and aromatics are planted. By skilfully blending across this and other regions, Penfolds have crafted a Cabernet which is greater than the sum of its parts. Premium Cabernet Sauvignon grapes have been selected to maintain three key characters - quality, value and consistency.